These turned out really good! They were so simple to make too! Have to tell you though that they are really small, and you will eat too many of them! If you are making more than you can eat, you should make them and then only bake what you will eat. Throw the rest in the fridge and bake them off as you need them. Here's the recipe adapted from Dana Treat. 2. Preheat oven to 400°F. 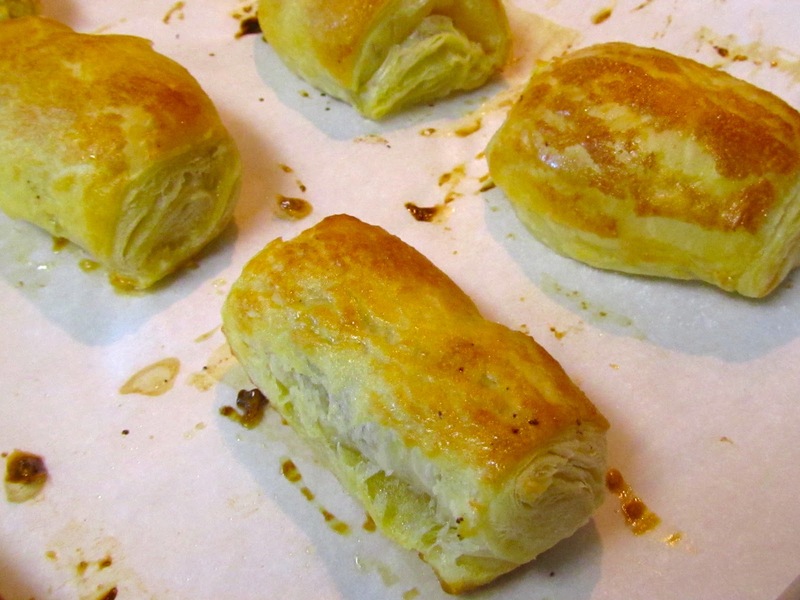 Brush tops of pastry rolls with remaining egg glaze. Sprinkle lightly with sugar. 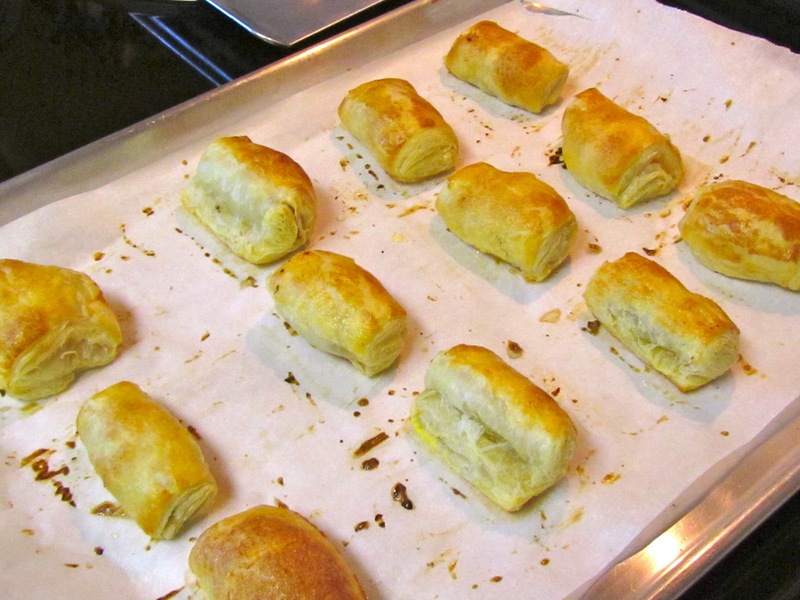 Bake until pastries are golden brown, about 15 minutes. Serve warm or at room temperature.